Interoperability, integration, reusability. Simulis Thermodynamics allows anyone in industry, engineering or research to run high quality thermophysical properties calculations. These calculations can be plugged in any software of wider application range (equipment sizing, system modeling, etc) and properties are available for any kind of fluid. 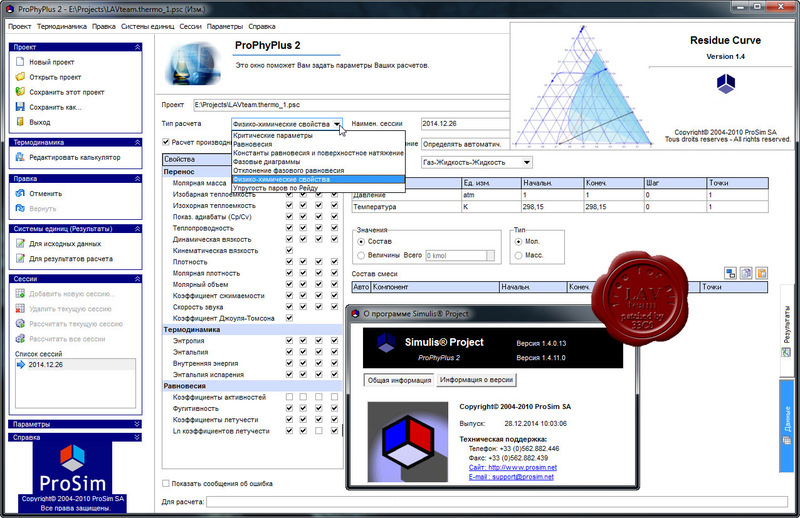 Simulis Thermodynamics makes open simulation a practical reality. 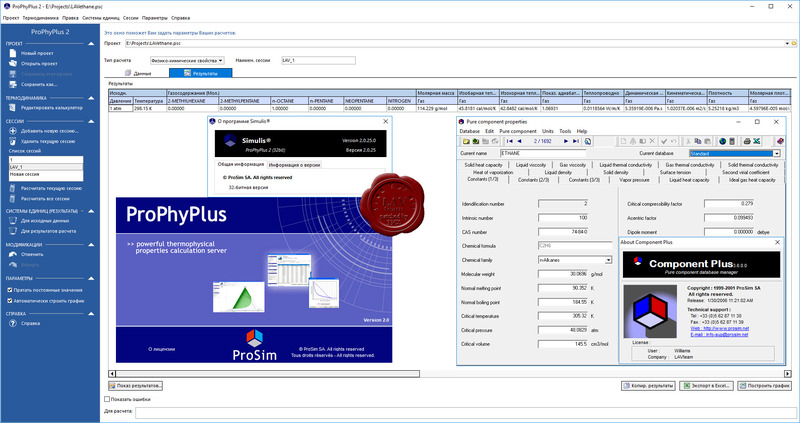 Simulis Thermodynamics is a calculation server for thermophysical properties and phase equilibria calculations on pure components and mixtures. It is available as a Microsoft Excel add-in, a toolbox in MATLAB or as a software component which can be easily plugged in any other application requiring reliable and accurate thermophysical properties. Provide access to over 300 functions, in particular for calculation of any type of transport properties (specific heat, viscosity,...), of thermodynamic properties (enthalpy, compressibility factor ...) or of phase equilibria (VLE, LLE, VLLE, salt formation ...) on multi component mixtures. Provide access to a property database of more than 2300 pure components. Enable the engineer to focus on their application and to work with thermophysical properties calculations that are reliable, and validated through intensive usage in industrial applications. Use the best thermodynamic representation of your system. Distribute these "Property Packages" throughout your organization in order for them to be used in your usual, CAPE-OPEN compliant, software. 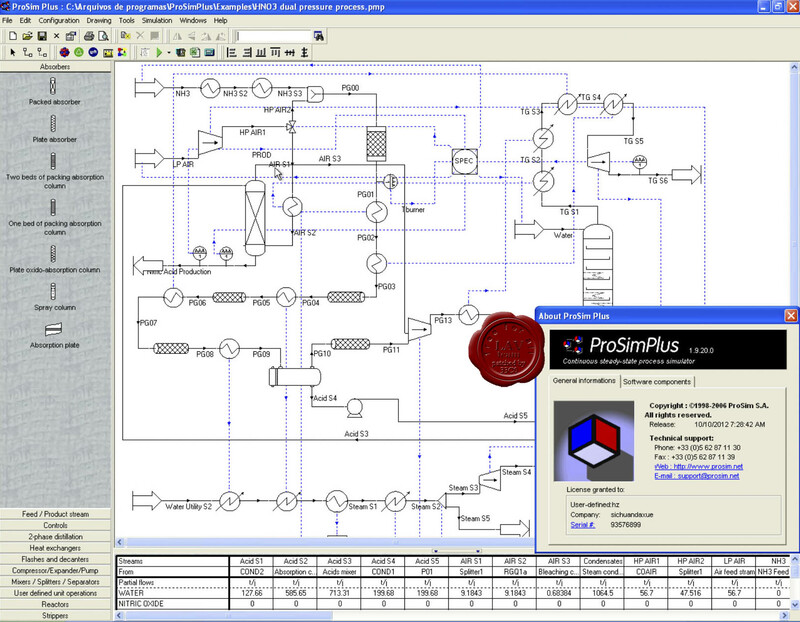 ProSim Plus is a process engineering software that performs rigorous mass and energy balance calculations for a wide range of industrial steady-state processes. It is used in design as well as in operation of existing plants for process optimization, units troubleshooting or debottlenecking, plants revamping or performing front-end engineering analysis. Comprehensive set of unit operations including complex models. Powerful thermodynamic package able to model highly non-ideal systems and a wide range of applications. Unique graphical user interface allowing instant usability, convenient drawing of the flowsheet and quick access to results. Open system to expand capabilities (user defined unit operations, Visual Basic scripting, CAPE-OPEN thermo and unit operation interfaces). Solution widely used by world's leading oil, gas, chemicals and engineering companies.